The situation, when suddenly discharged rechargeable battery of the vehicle can happen to any motorist. At the same time to open the trunk of the car, as a rule, is not difficult. Car, car keys, freezer locks. Press the key FOB button open the trunk. If it does not work, perhaps the battery is discharged, for example due to the left on dipped beam. If you have a domestic car or import budget, take the key from the trunk of the car and open the lock manually. Usually alarm when this effect is triggered in the emergency mode. Remove from the trunk is required, and close it. Audible alarm will turn off. 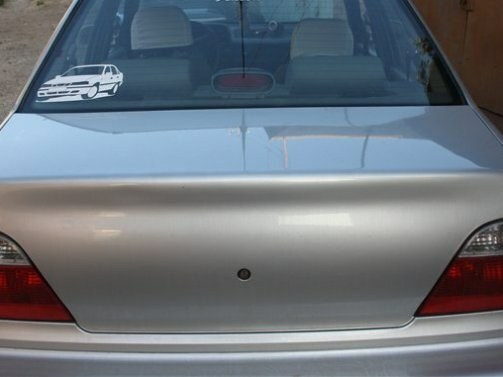 If your car is a different class, he usually also available on the trunk lid lock for a key. Find the castle. Usually, for practical and aesthetic reasons manufacturers have a hole in a remote place. This castle is not evident to potential lovers to take someone else's and at the same time do not spoil the appearance of the paintwork of the car. It does not matter if your car has the so-called "Central locking", that is factory controlled door lock including tailgate. With the power off all the locks remain available for opening the key. Insert the key into the trunk lock. If it's freezing outside and the key enters the hole with some difficulty, and after not rotate, then most likely, the trunk lock of the car for some reason froze. Perhaps after a wash it still has water or was led to it by other reasons. Pour in the castle special liquid for defrosting. Do so in accordance with the instructions to the tool. Try again to open the trunk lock. It needs to give. If the lock doesn't open with a key, he probably broke. Contact the specialists of service center. They pick the lock and then will repair or replace it.